Neonetics Vintage Style Coca-Cola Marquee Neon Sign 9ADCCG - California Car Cover Co. 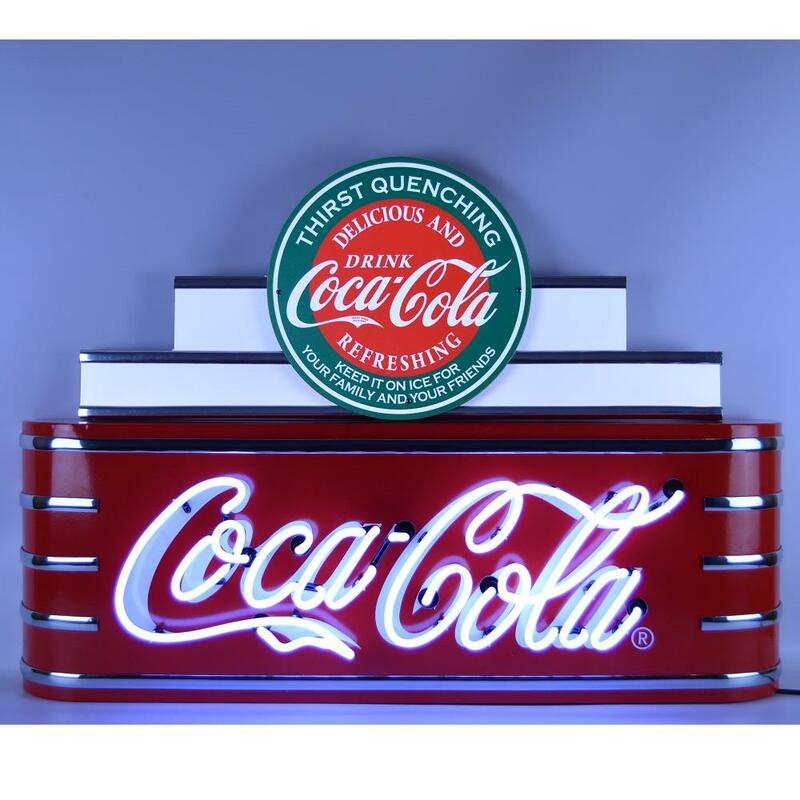 Illuminate a trip back in time this vintage style neon Art Deco Coca-Cola marquee sign. Engineered with top-notch craftsmanship and highlighting Coca-Cola branding, this high quality sign has a clean, painted steel finish, chrome accents, and a tiered design. It assembles easily with a screwdriver to attach the top tier to the bottom section. Full directions and all parts necessary are included. Hangs easily via two eyeholes in back. Operates on standard 110-volt current. Indoor use only. Measures 39" x 29" x 7". This item ships oversize Ground in a custom-designed package for guaranteed safe arrival. Fully licensed by The Coca-Cola Company through Neonetics Inc.